Oh, you didn’t hear? Facebook is letting U.S. iPhone users call each other for free. You can be forgiven for not knowing aboutFacebook’s foray into voice. The story got buried behind several “larger” corporate announcements last week. Read The Next Web's take on it here. Although it is unclear when and how, Facebook does intend to expand this service globally and to other operating systems, according to the BBC. With over 1 billion subscribers, Facebook’s global base allows it to overcome easily one of the chief barriers to entry for any free VoIP app: sign-up. By allowing users to go from typing to talking within the Messanger activity stream, Facebook has emerged with the first consumer instance of Hypervoice - this integration of voice into the activity stream is what makes Facebook the first mover, even if many of the other defining characteristics of a Hypervoice app are still to come. The first enterprise version of Hypervoice was demonstrated in October of 2012 as Oracle enabled Hypervoice within its Oracle Social Network. Check out my blog post from Oracle Open World for more details on that. 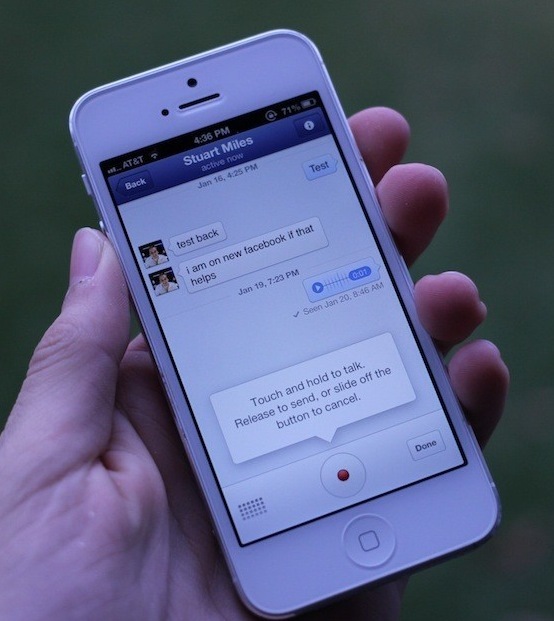 As Facebook focuses on enriching its social timeline, voice is a natural extension. Facebook "records your digital social life.” Without voice, many of our most important social interactions would be missing. What the Hypervoice model gives Facebook is yet another contextual stream of data to mine for social graph and advertising purposes. Given the different privacy expectation of Facebook users compared to highly-regulated telephony, it is a good place to experiment with new models for voice exchange and functionality.